﻿ Hand Drawn Abstract Vector Seamless Pattern Of Tropical Exotic Fruit Pitaya.Dragon Fruit Pitahaya Illustration.Bright Desert Abstract Drawing.Tropical Vegeterian Food On Black Background. 로열티 무료 사진, 그림, 이미지 그리고 스톡포토그래피. Image 116034609. 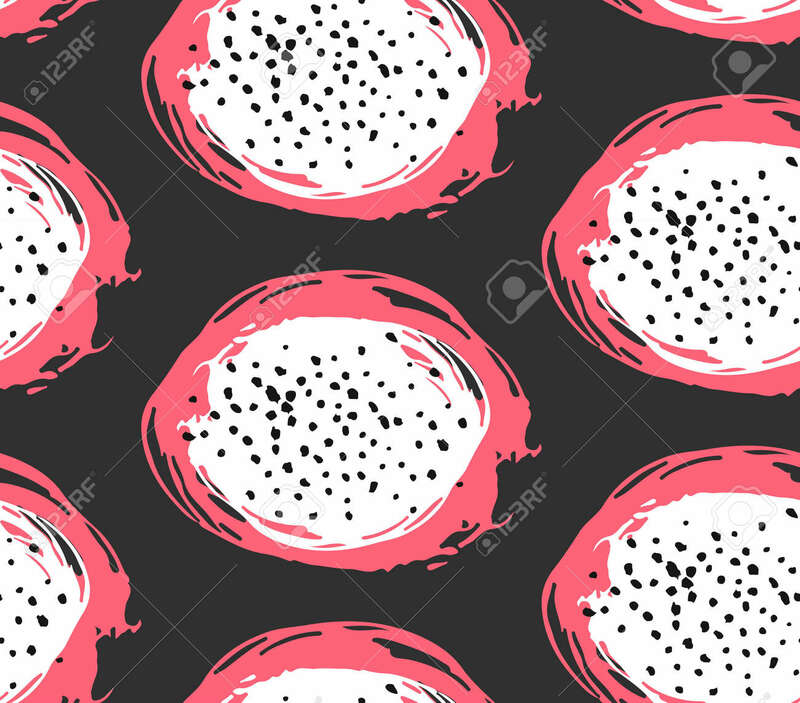 스톡 콘텐츠 - Hand drawn abstract vector seamless pattern of tropical exotic fruit pitaya.Dragon fruit pitahaya illustration.Bright desert abstract drawing.Tropical vegeterian food on black background.